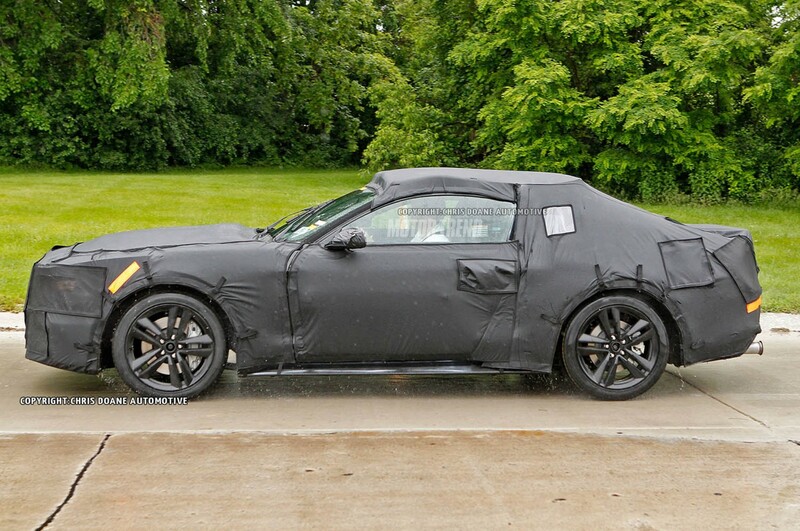 BRIGHTON, Mich. - Shortly after celebrating the 49th anniversary of the Ford Mustang, the 2015 Ford Mustang was spotted on the streets, giving us a sneak peak as to what the next generation will look like. 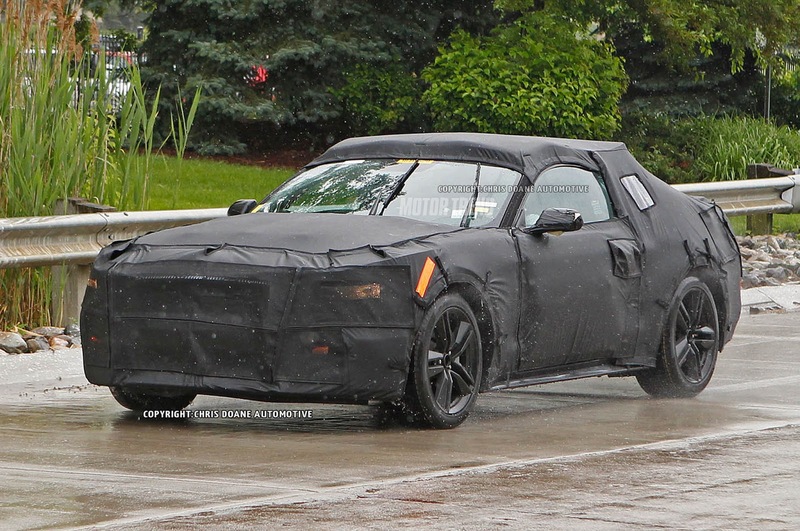 Although it was heavily disguised, it gives Mustang lovers a hint at what is to come, allowing us to address rumors of what changes will take place. The first noticeable change that's apparent on the spotted 2015 Ford Mustang is that the car is a lot smaller than the Mustangs of the past. Riding lower to the ground, this Mustang's frame appears to be much smaller. The headlights also seem to be shaped differently, though the grill is too covered to make any definite observations. When it comes to power, the next generation Mustang will be equipped with a base 3.7-liter V-6 engine and the 2015 Mustang GT will receive an upgraded 5.0-liter V-8. The 2015 Ford Mustang is code-named S550, and is even expected to have a turbocharged four-cylinder EcoBoost engine that will be available in Europe. Rumors are swirling that the EcoBoost engine may even be offered in the U.S. - making the car less powerful but greener - but nothing has been officially released saying so. Can't wait for the release of the 2015 Ford Mustang? Check out our 2013 Ford Mustang Brochure, and stop in at our Pinckney Area Ford Dealership where we can help you save money with Ford Mustang Rebates and Ford Mustang X-Plan Pricing.